I welcome the response of the President on the pork barrel issue. It’s time to break down the system of patronage and dynastic politics. Through this, let us intensify the creation of transparent mechanisms for services to truly reach the people. We are faced with a comprehensive issue that cannot be solved by the abolition of the pork barrel alone. The path that we must tread in order to move forward is the reform of the budget system in a way that will guarantee the equitable distribution of resources, especially for the poorest provinces. No one must be left behind. Dinagat is among the provinces which has been left behind in terms of share in our government resources. We have used our PDAF in Dinagat to fund the needs of our constituents. We have allocated funds for scholarships as well as for emergency and medical assistance. National government agencies should ensure that resources are allocated to address these needs of the people in our district. In time, we must consider shifting to a parliamentary form of governance where the Executive and Legislative are one in implementing programs for the people that go hand in hand with crafting laws that will uplift the marginalized. At this point, we are called to rally behind the clamor for change. Para sa bag-ong kaugmaon, padayon! Hindi maikakaila na mahusay na lider si Jesse Robredo. Sa katunayan, alam na alam ni Sec. Jesse Robredo na mahusay siya. Sa katunayan, labing-apat na Galing Pook Awards ang pinaghirapan na sinungkit ng Naga sa kahabaan ng kanyang termino bilang mayor nito. Pero ano ang pinagkaiba niya sa iba pang mahuhusay na lider ng samabayanang Pilipino? Ang sagot: busilak at lubusan niyang pinaniwalaan na hindi lang siya ang magaling, na hindi lang sa kanya ang tagumpay kundi sa komunidad at sa mga indibidwal na mamamayan nito. Pilit niyang binigyan ng pagkakataon ang maliit na tao na hanapin, gamitin at ipagtanggol ang sarili nilang husay para sa pagpapanday ng kanilang lipunang kinabibiliangan. Indeed, Sec. Jesse institutionalized a brand of leadership which has people empowerment as its basic foundation. By his actions and responses to local government concerns, he taught people how to take responsibility for the progress or decline of their own community. He took to heart the precepts of consultation and participation which the people he was able to engage with realized to be the essence of citizenship. He was quoted to have said that “Collectively, successful local governments, driven by constituencies who are well-informed, constructively engaged, and willing to share the burden of community building, can build our country”. To my mind, he is saying simply that you have to lead people in such a way that they become leaders themselves. Empowering the community member encourages good governance. He was right. And at this juncture of our country’s history we should take the rare opportunity to lead and nation-build on the basis of such well-proven formula. Tama na ang pogi points brand of constituency engagement. It’s time we treat our people like intelligent members of a community who can become able partners in lessening poverty, reducing crime, and achieving inclusive progress. Sec. Jesse showed us that people who seek remedies from the government are not asking to be spoonfed with ready-made quick fixes. They are, instead, asking that we tap into their rich base of knowledge and experience on the issues-at-hand and they are seeking for a partnership with government to solve the problem and not just its symptoms. Kaya nga sabi niya di ba, “kaya natin” hindi “kaya ko” o “kaya mo”! That is the best thing about Jesse Robredo’s leadership: the concept of “tayo” which is the core of the Filipino culture of bayanihan in times of opportunity or difficulty. But he did not only stop with the principle of “tayo”. Sec. Jesse also pushed for the importance of the sectoral groups themselves, which is key to their empowerment and eventual success. 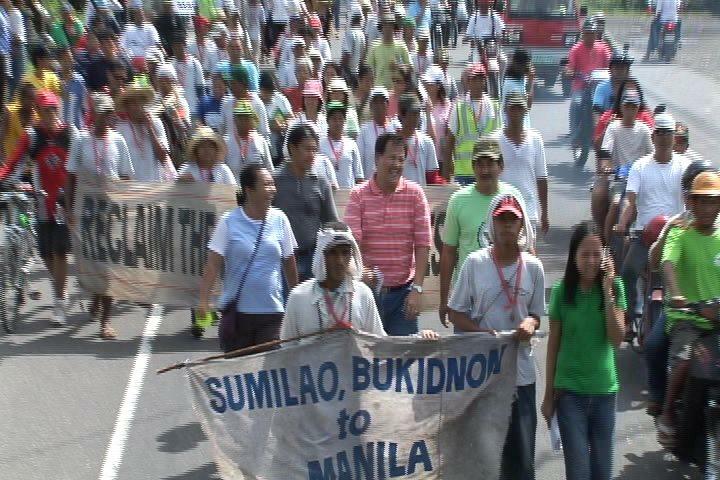 I still remember when we were still campaigning on the Sumilao Farmers case in their “Walk for Land, Walk for Justice” where 54 farmers walked from Bukidnon to Malacañan in 2007. 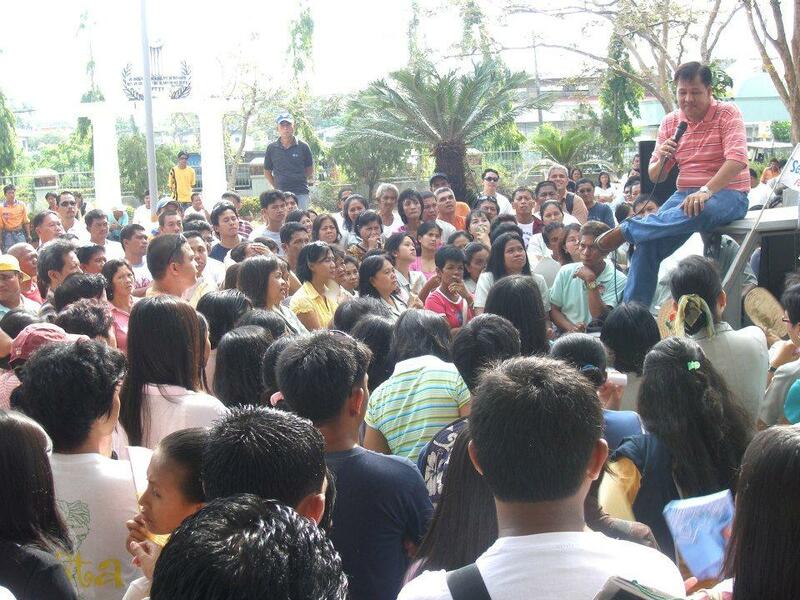 When the farmers reached Naga City, they were warmly received by the Nagueños. Sec. Jesse, who was then the mayor of Naga, even organized an entire program for the farmers and served meals and a place where they could rest. What was more surprising was that Sec. 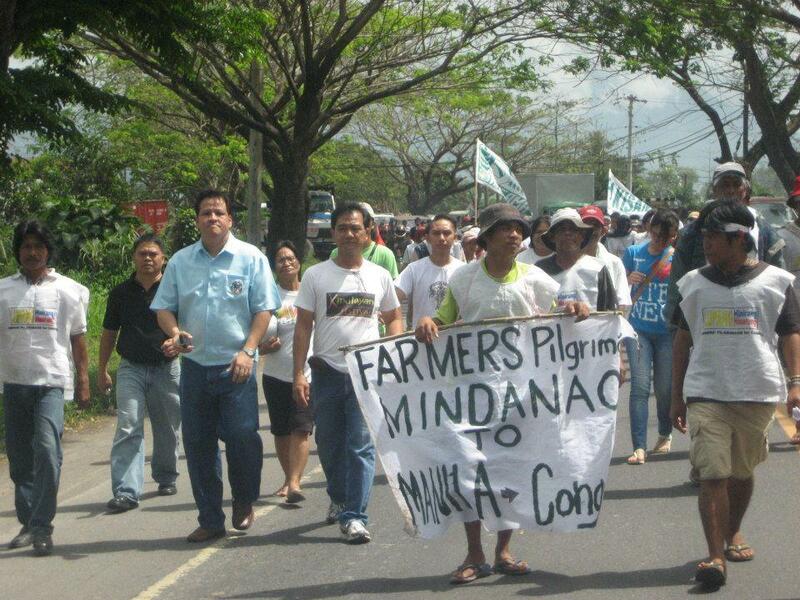 Jess literally took the extra mile when he walked with the farmers in the 10-kilometer stretch upon meeting them. Aside from the Sumilao Farmers, Sec. Jesse also welcomed with open arms the farmers of Banasi, Camarines Sur and other peasant groups in their struggle for land rights. While losing one of our great leaders may be considered to be a time of crisis, I personally do not consider it to be so because it has become a great opportunity for the Filipino people to get to know a national leader of Sec. Jesse’s caliber and integrity; the Filipino youth to find another hero to emulate; and public officials like us to take the challenge and inspiration to blaze our very own trails towards partnering with instead of herding our constituencies. As he passed on, Sec. Jesse gifted the Filipino nation a moment of collective, national epiphany, a bayanihan sort of “a-ha” moment and left us all with the question of “What will you do now?” What can we contribute to this nation as individuals, as a people, as interest groups, as civil society organizations, as public officials, as a government, as leaders entrusted with the power to effect change, as citizens burdened with the duty to push for accountability? As Sec. Jesse did, we will seek to know what “general welfare” really is, by consulting with the farmers, fisherfolk, indigenous people, urban poor, and other marginalized groups. We will show respect for the needs of our police force so they will in turn look after the needs of our citizens. We will institutionalize government linkages with civil society organizations which unhesitatingly complement efforts in good governance and protecting human rights. We will fight for transparency and public information in government transactions. We will seek community input on concerns directly affecting them such as peace and security, health, education, environment and natural resource allocation. As Sec. Jesse did, we shall consider as an important source of policy and legislation not only the gripes and ideas brought to us by our constituencies. More importantly, we shall take steps to reform our offices from within, taking the hard, even dangerous, but necessary steps to take out the long-entrenched culture of self-enrichment, non-transparency and ivory tower type of leadership. If we carefully ponder on the many tributes, accolades and testimonials given by people from all walks of life for Sec. Jesse, we will see that these only prove one thing: The Filipino people are done with the traditional type of politics in which they do not really have the power to choose their leaders and in which leaders impose their will on their constituency as the power flows from top to bottom. Because of the revelation that was Jesse Robredo, they have realized that they should participate in the all-important task of governing themselves and that they can seek accountability by being themselves accountable for their contribution to the community. Mr. Speaker, distinguished colleagues, ladies and gentlemen, I rise on a matter of personal and collective privilege. I must talk about humanity’s struggle to build a more peaceful world. This is a historic moment with the question: Will the world have a global standard on weapons trade? Must we consent to a future where arms proliferate and breed humanitarian and human rights abuses? Last July 27, 2012, the United Nations was unable to reach an agreement on the Arms Trade Treaty (ATT) during the UN Diplomatic Conference held in New York City with representatives from over 170 countries. However, Diplomats at the UN remain optimistic further talks on a draft treaty could lead to a vote on a final ATT by the end of the year. Mr. Speaker, there is too much at stake for the Philippines in this ATT Agreement. Consider that 6 years ago, Akbayan delivered a privilege speech on the proliferation of small arms. In 2006, when Rep. Risa Hontiveros delivered her speech there were 638 million firearms. Now we have 875 million worldwide. In 2006, there were 800,000 legal and 415,000 loose firearms in the country. Now the Philippines has an estimated 1.1 million loose firearms,a 300% increase in just 6 years. Weapons in the wrong hands undermine peace, our human security, development and poverty-reduction initiatives. Think of weapons proliferation and the Ampatuan massacre. Consider the easy access to small arms and the climate of impunity that surrounds the extra-judicial killings of journalists and activists. Arms proliferation also facilitates gender-based violence against women. Irresponsible weapons trading and diversion to illicit markets can exacerbate our problem with armed conflicts, and pose serious threats to human rights and international humanitarian law. Comprehensive policies must include gun trafficking and international trade. Three years ago, a Panamanian-registered, Philippine-owned ship, MV Capt. Ufuk docked in the Philippines. Turkey was the ship’s port of origin, and along the way passed it through Ghana and Congo allegedly for ship repair before briefly stopping in Malaysia and Indonesia en route to Mariveles, Bataan. The ship contained Indonesian-made, Belgian designed SS1-V1 assault rifles ordered by Mali, a small State in West Africa. When the Bureau of Customs and the PNP raided the ship, only 5 gun crates remained out of the 20 crates with as many as 200 rifles. As then Sen. Rodolfo Biazon noted, “This is not just a case of loose firearms but a national security issue because 200 rifles could arm a battalion, (or) arm two companies.” This is a strong argument on the international nature of our local problem with the illicit trade of weapons. There are gaps in our importation and exportation controls, and transport procedures regarding weapon shipments. What is alarming? What is alarming is the sheer number of weapons in the world, and its annual authorized trade that exceeds more than USD 60 Billion. What is alarming is the 747,000 deaths per year because of armed violence worldwide. There are two bullets for every representative in this hall. In fact, there are two bullets for every person on this planet. Mr. Speaker, there are international regulations in the trade of bananas but no regulations in trade of weapons—trade in nearly all categories of manufactured goods is regulated by rules which bind exporters and importers to commonly agreed conduct. One, At the national level, we must strive for the Matuwid na Daan in arms transfers. No arms for atrocities. Congress must enact policies that exact accountability for our international arms and ammunitions transfers. The Philippines has a growing firearms and ammunitions industry and supporting a robust Arms Trade Treaty in the UN does not mean curtailing these industries but will regulate the trade in weapons so that they may not fall into the hands of abusers. c. Impair efforts at poverty reduction or achieving sustainable development. Three, Congress must support the adoption of the ATT by supporting the Global Parliamentary Declaration. Since last week, members of the Philippine Action Network to Control Arms, have been soliciting our parliamentary support. I encourage fellow representatives to sign the parliamentary declaration on the Arms Trade Treaty. By the time I finish this speech, 50 persons would have died because of the illicit and unregulated trade in arms. Now is the time for a bulletproof Arms Trade Treaty that will save lives. Let us do our part in humanity’s quest for a just and peaceful world. No arms for atrocities! Maraming salamat po. Hontiveros (2006) “Control Arms Now!” Privilege speech delivered in Congress on 7 August 2006. Control Arms (2012) Global Parliamentary Declaration on the Arms Trade Treaty. Vivanews (2009) Indonesia weapons smuggled to Philippines. 28 August. Manila Bulletin (2009) British captain of arms ship seeks government protection. 26 August. Philippine Daily Inquirer (2009) Biazon seeks Senate probe of gun smuggling. 03 August. PhilANCA and WE Act 1325 (2012) Letter to the President. Arms Trade Treaty Brief (June 2012). Akbayan Party decries the recent Supreme Court ruling on March 13, 2012, rejecting the Motion for Reconsideration filed by the Flight Attendants and Stewards Association of the Philippines (FASAP) against the recall of the resolution of its case versus Philippine Airlines (PAL). The case is part of the impeachment case against Chief Justice Corona. “The resolution reaffirming the Supreme Court’s earlier recall of an otherwise final and executory decision is devastating to FASAP who have awaited the finality of the favorable decision of the SC for years. The recall order and this recent decision reaffirming it snatched defeat from the jaws of victory for FASAP. I really hope that this decision has nothing to do with the testimony of FASAP President Bob Anduiza in Chief Justice Corona’s impeachment trial,” Akbayan Representative Kaka Bag-ao said. On February 7, FASAP President Roberto “Bob” Anduiza took the Senate witness stand to prove the irregularities in the Supreme Court’s resolution that recalled the final and executory Decision favoring the flight attendants. In his testimony for Article III of the verified impeachment complaint, Anduiza said that the Supreme Court appears to give a preferential treatment to PAL as the former required the latter to comment on a petition-letter previously sent by FASAP. 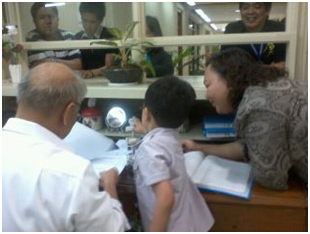 But when PAL sent a letter to the Supreme Court through its counsel, Atty. Estelito Mendoza, the case was immediately docketed as a new administrative matter of the Supreme Court despite the fact FASAP was not notified of the existence of such letters. FASAP learned of the existence of the letter only after the court promulgated its resolution recalling its earlier Decision on the case. According to Bag-ao, the FASAP v. PAL is a landmark case that may just go down the drain by setting a bad precedent for the Philippine judicial system. “With the recall forming part of our judicial system, what can stop parties or their lawyers from employing underhanded maneuverings, in the guise of mere letters or endless Motions for Reconsideration?” Bag-ao quipped. “It is even more unfortunate that the Supreme Court has denied us the opportunity to present the testimonies of court personnel and documentary evidences which could have shed into light the active involvement of the Chief Justice in the recall of the FASAP Decision that is recently upheld by the Supreme Court,” Bag-ao said. That was my initial reaction when I was told Chip wanted to file a bill for a “good deed” project at school. Chip’s father is a long-time friend of mine and a fellow alternative lawyer. He said his kid wanted to ban schools from selling softdrinks, so he made a bill prohibiting it. I was told Chip was a Grade One pupil. I said, “Okay. No prob. I’ll file it.” But all the while I was thinking, I was in Grade One too, at that time I also wanted to change the world like Chip, so I made paper machès, stick-figure drawings and paperdolls. For a good deed project, as I’ve said, I’d help an old person cross the street or I’d just probably wash the dishes at home. Chip came to my office after his class, still in his uniform, ready to make schools a healthier place for kids. Right then and there, he explained to me the health effects of soda and other drinks with high-sugar content and caffeine. He cited studies and Word Health Organization reports. He knew his facts. He knew his arguments. I was amazed. He was seven years old and already, an articulate lobbyist. So we printed copies of the bill and went to see my fellow Akbayan Representative Walden Bello, for his signature as our co-author. Then we went to the Bills and Index and got our house bill number, HB 4268 or the “Healthy Beverage Options Act of 2011”. But we simply called it the “Chip’s Bill”. Then Chip toured the House of Representatives. 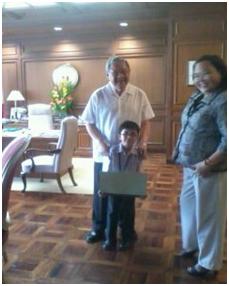 He went to see the Speaker and discussed his bill with Speaker Belmonte himself. As we walked back to my office, I was wondering what age will Chip be when his bill would finally be passed into law. Take the RH Bill’s ten years (and still counting) for instance, and Chip will already be a high school senior before Chip’s Bill becomes Chip’s Law. Provided he will not be accelerated! After that, we went back to our office where Chip began playing with the miniature boxing belt which Rep. Manny Pacquiao gave all members of Congress last Christmas. 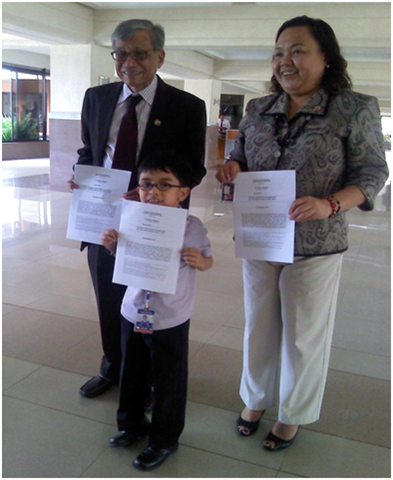 I thought of the committee hearings, the technical working groups, the lobbying of the rich multinational soda companies, the plenary debates, the bicam conference, the caucuses, the presscons, all ahead of this little kid and his progressive little piece of legislation. He just smiled at me and began playing with the small Ifugao hut on my table. He wants to be a scientist, he said, as he continued putting the toy Ifugao man inside his hut. Chip thanked all of us and said he’ll be back for the deliberations. I thanked him too for the honor of becoming his ‘co-author’. He left our office with smiles on our faces. It felt like that feel-good-story, those of us, cynical civil servants needed for a long while. A few days ago, I was told that Chip’s good deed project now has a Senate counterpart and a proposed Quezon City Ordinance. He is eight years old and already doing his media campaign. There is really no stopping little Chip! Meanwhile, House Bill No. 4268 is still lodged in the House Committee on Welfare of Children. Last year, I wrote the committee to consider the bill for preliminary deliberation. It was put in the calendar but its hearing was postponed due to conflicts in schedules.